Download the September 1st edition of Hosanna Highlights for members and friends of Hosanna Lutheran Church. 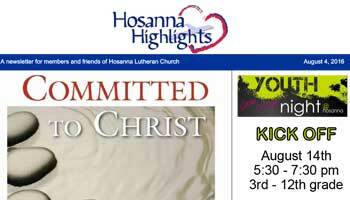 Download the August 4th edition of Hosanna Highlights for members and friends of Hosanna Lutheran Church. Download your copy of the September birthdays and anniversary list. 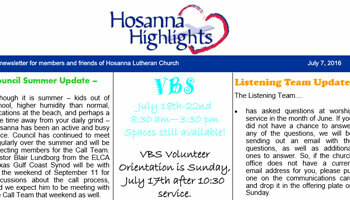 Download the July 7th edition of Hosanna Highlights for members and friends of Hosanna Lutheran Church. 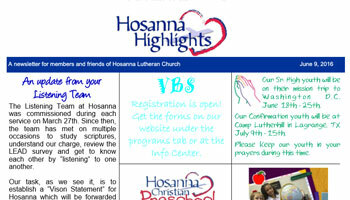 Download the June 9th edition of Hosanna Highlights for members and friends of Hosanna Lutheran Church. 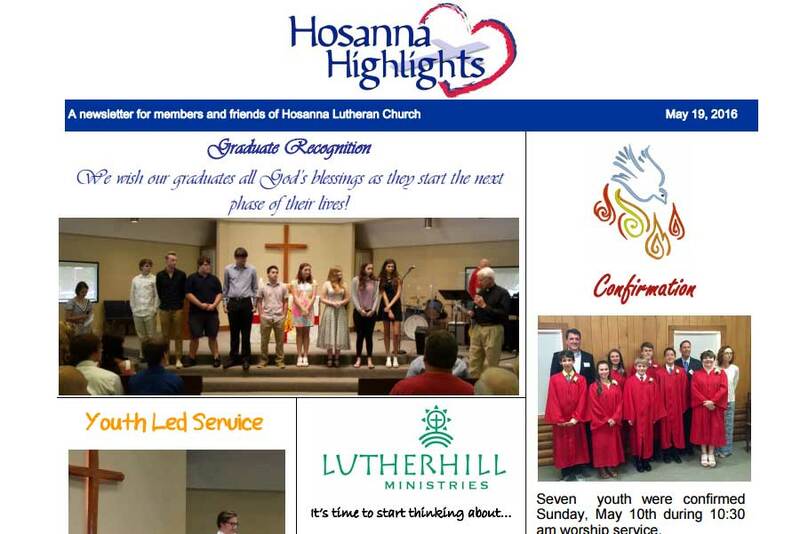 Download the May 19th edition of Hosanna Highlights for members and friends of Hosanna Lutheran Church. 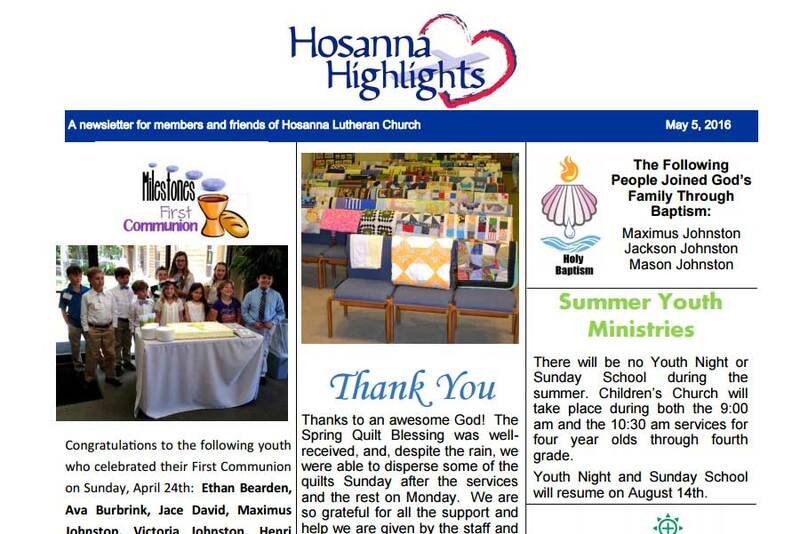 Download the May 5th edition of Hosanna Highlights for members and friends of Hosanna Lutheran Church.